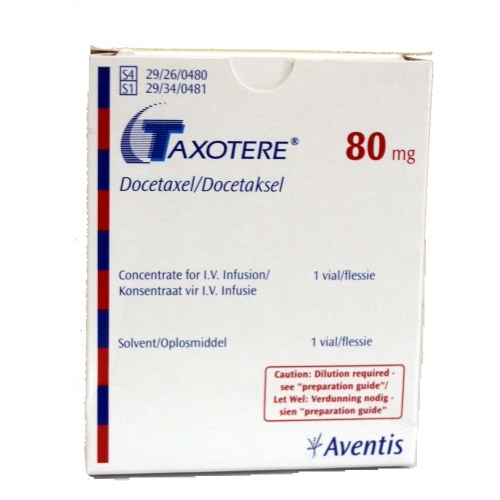 DoceNat (Docetaxel) by Natco is generic version of Taxotere.It comes in 120 mg and 80 mg Tablet forms. 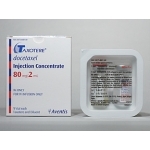 DoceNaT is a cancer medicine that slows the growth and spread of cancer cells in the body. 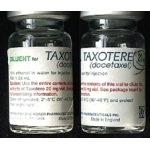 DoceNaT is used to treat breast cancer, lung cancer, prostate cancer, stomach cancer, and head/neck cancer. 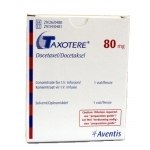 DoceNaT may also be used for other purposes not listed in this medication guide. Do not use this medication without your doctor's consent if you are pregnant. It could cause harm to the unborn baby. Use an effective form of birth control, and tell your doctor if you become pregnant during treatment. Before being treated with DoceNaT, tell your doctor if you have ever been treated with cisplatin (Platinol), or if you have liver disease, congestive heart failure, fluid retention, swelling problems, or if you have ever had an allergic reaction to docetaxel. DoceNaT can be harmful if it gets on your skin during an IV infusion. If this happens, wash the skin thoroughly with soap and warm water. Some people receiving a DoceNaT injection have had a reaction to the infusion (when the medicine is injected into the vein). Tell your caregiver right away if you feel dizzy, light-headed, warm, or itchy, or if you have chest tightness or trouble breathing during the injection. DoceNaT can lower the blood cells that help your body fight infections. This can make it easier for you to get sick from being around others who are ill. To be sure your blood cells do not get too low, your blood will need to be tested on a regular basis. Your liver function may also need to be tested. It is important that you not miss any scheduled visits to your doctor. Avoid contact with people who have colds, the flu, or other contagious illnesses. Contact your doctor immediately if you develop signs of infection, especially fever. There are many other drugs that can interact with DoceNaT. Tell your doctor about all the prescription and over-the-counter medications you use. This includes vitamins, minerals, herbal products, and drugs prescribed by other doctors. Do not start using a new medication without telling your doctor. if you have ever had an allergic reaction to docetaxel. If you have any of these conditions, you may need a dose adjustment or special tests to safely receive DoceNaT. FDA pregnancy category D. This medication can cause harm to an unborn baby. Do not use DoceNaT without telling your doctor if you are pregnant. It could harm the unborn baby. Use effective birth control, and tell your doctor if you become pregnant during treatment. It is not known whether DoceNaT passes into breast milk or if it could harm a nursing baby. Do not receive DoceNaT without telling your doctor if you are breast-feeding a baby. Adults older than 65 may be more sensitive to the side effects of DoceNaT. 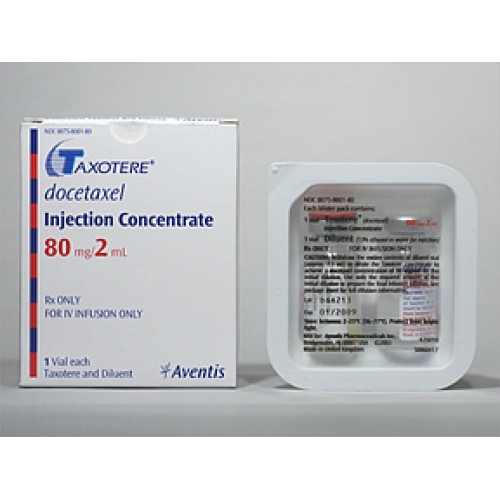 DoceNaT is given as an injection through a needle placed into a vein. You will receive this medicine in a clinic or hospital setting. DoceNaT must be given slowly through an IV and it may take up to an hour to complete your dose. Your doctor may prescribe a steroid medicine for you to take for a few days before your injection. This will help prevent swelling or an allergic reaction to DoceNaT. Do not miss any doses of the steroid. DoceNaT must be given slowly through an IV and it may take up to an hour to complete your dose. DoceNaT is usually given once every 3 weeks, and you may receive other cancer medicines at the same time. Your doctor will determine a treatment schedule for you based on the type of cancer being treated and other factors. DoceNaT can lower the blood cells that help your body fight infections. This can make it easier for you to get sick from being around others who are ill. To be sure your blood cells do not get too low, your blood will need to be tested on a regular basis. Your liver function may also need to be tested. Do not miss any scheduled appointments. Call your doctor for instructions if you miss a dose of DoceNaT or the steroid medicine. Overdose symptoms may include fever, chills, body aches, flu symptoms, numbness, burning, pain, or tingly feeling, or white patches or sores inside your mouth or on your lips. What should I avoid while using DoceNaT? Avoid getting a flu shot or vaccine while you are being treated with DoceNaT. Vaccines may not work as well or could make you sick while you are using DoceNaT. Avoid allowing this medicine to get on your skin during an IV infusion. If this does happen, wash the skin thoroughly with soap and warm water. numbness, burning, pain, or tingly feeling. What other drugs will affect DoceNaT? 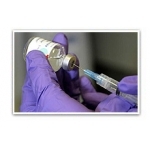 Do not receive "live" vaccines during treatment with DoceNaT. 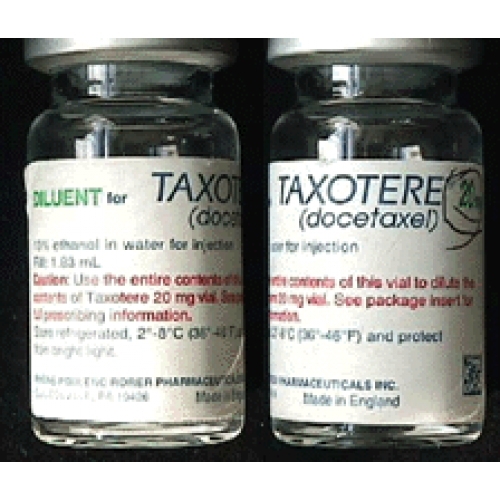 Administration of a live vaccine may be dangerous during treatment with DoceNaT. Your doctor or pharmacist can provide more information about DoceNaT.